We’ve been cooking up a storm in The Good Stuff by Blueboost kitchen and boy, do we have a goodie for you! 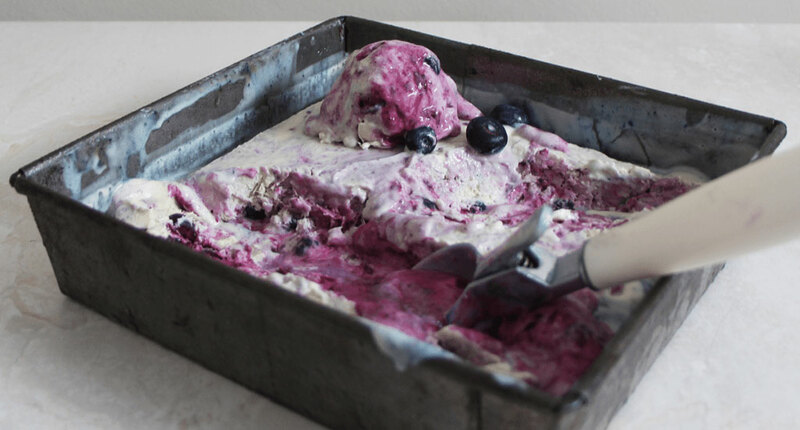 There’s nothing quite like digging into a melty bowl of nourishing ice cream come, rain or shine, and it’s even better when it’s packed with super-food fellas like blueberry and chia. This dollop of delicious is 100% refined sugar-free, gluten-free and dairy-free – just the way we like it. With none of the nasties and all of the taste, this sweet surprise gets our Blueboost stamp of approval! This makes a jam that’s really nice as a tasty addition to an afternoon tea and it’s super healthy as there are no added sugars, just the goodness of blueberries and honey. Make ahead of time and store up to 3 months. When you add the hot coconut milk to the eggs make sure to pour slowly and keep stirring so as to avoid making an omelet. *Tip: You have reached custard consistency when the mixture coats the back of your spoon. When it comes time to add the blueberry goodness, roughly stir in the blueberry jam to create beautiful blueberry flavour layers. 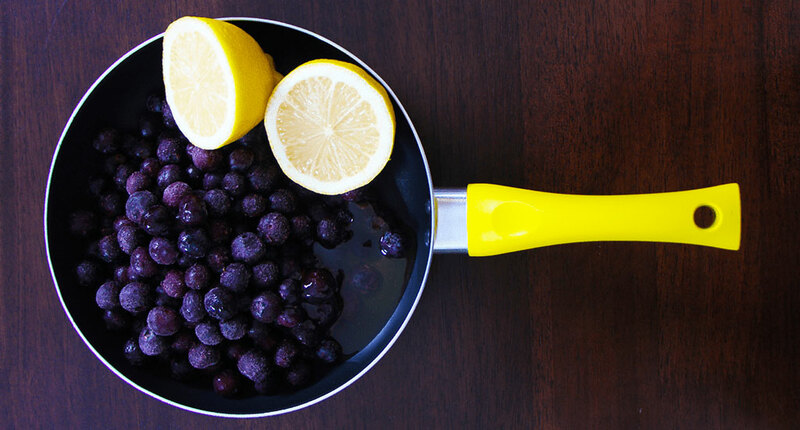 Throw in some fresh blueberries if they’re in the season for extra texture. *Tip: Put the ice cream into the fridge 30 minutes before serving for the perfect softened ice cream consistency. 1For the jam: Over a medium heat, combine the blueberries, 240g raw honey and the lemon juice in a small pot. 3For the ice cream: Combine the coconut milk and cream in a pot and bring to the boil, stirring occasionally. Remove from heat. 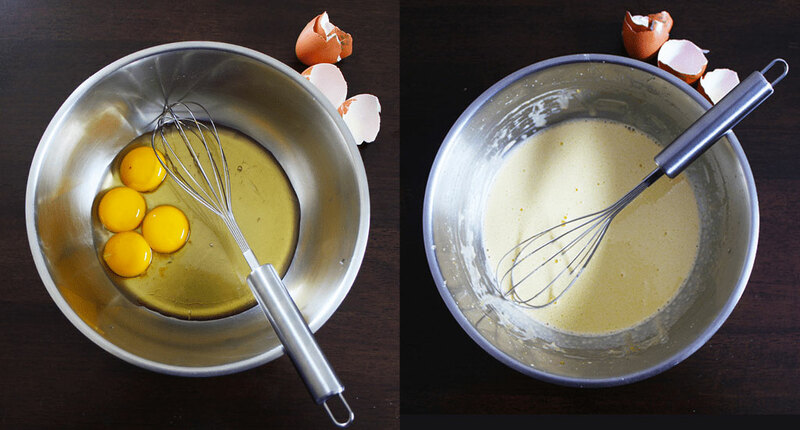 4In a large heatproof bowl, whisk the egg yolks and honey until light and fluffy. 5Slowly whisk half of the hot coconut mixture into the egg mixture until well combined and the egg is warmed, then whisk in the remaining hot coconut mixture. 6Pour the mixture into a clean pot and cook over a medium heat, stirring until the mixture has thickened to form a thin custard. 7Strain the custard through a sieve into a bowl, cover in cling wrap and chill for 2 hours. 8Stir the custard and transfer to the freezer. At 30 minute intervals, retrieve the custard and stir, returning to the freezer. Repeat until a thick custard consistency is achieved. 9Fold in 300g of the blueberry jam along with the chia seeds and transfer the mixture to an airtight ice cream container and freeze until firm.